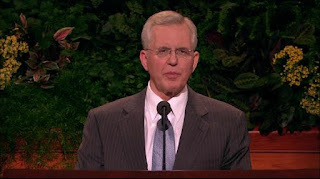 Elder D. Todd Christofferson of the Quorum of the Twelve Apostles illustrated why power is so much needed in our day and will become increasingly crucial in days ahead. Strong Christians can persevere against hardship, sustaining hope through tragedy, lift others by their example and their compassion, consistently overcoming temptations, making things happen by their faith, and defending the truth of Jesus Christ against moral relativism and militant atheism. Moral and spiritual power is from God. We access that power through our covenants with Him. Priesthood ordinances manifest our commitment. Our foundational covenant, for example, is confirmed by the ordinance of baptism, individually, by name, and thereby we become part of the covenant people of the Lord, and heirs of the celestial kingdom of God. Other sacred ordinances are performed in temples. The doctrines and commandments of the gospel constitute the substance of an everlasting covenant between God and man that is newly restored in each dispensation. If we were to state the new and everlasting covenant in one sentence it would be this: "For God so loved the world, that he gave his only begotten Son, that whosoever believeth in him should not perish, but have everlasting life" (John 3:16). Jesus explained what it means to believe in Him: "Now this is the commandment [or in other words, this is the covenant]: Repent, all ye ends of the earth, and come unto me and be baptized in my name, that ye may be sanctified by the reception of the Holy Ghost, that ye may stand spotless before me at the last day" (3 Nephi 27:20). Making and keeping covenants with God gives us power. As we walk in obedience to the principles of the gospel, God promises in His covenant with us that we will receive a continual flow of blessings. Those blessings provide the resources we need to act, rather than simply be acted upon, as we go through life. Obedience gives us greater control over our lives, greater capacity to come and go, to work and create. Of course, age, accident, and illnesses inevitably take their toll, but even so, our obedience to this gospel law enhances our capacity to deal with these challenges. In the covenant path we find a steady supply of gifts and help. "Charity never faileth" (1 Corinthians 13:8; Moroni 7:46), love begets love, compassion begets compassion, virtue begets virtue, commitment begets loyalty, and service begets joy. We are part of a covenant people, a community of Saints who encourage, sustain, and minister to one another. As Nephi explained, "And if it so be that the children of men keep the commandments of God he doth nourish them, and strengthen them" (1 Nephi 17:3). All this is not to say that life in the covenant is free of challenge or that the obedient soul should be surprised if disappointments or even disasters interrupt his peace. If you feel that personal righteousness should preclude all loss and suffering, you might want to have a chat with Job. Our covenants produce the faith necessary to persevere and to do all things that are expedient in the Lord. Our willingness to take upon us the name of Christ and keep His commandments requires a degree of faith, but as we honor our covenants, that faith expands. then, come what may, we can face life with hope and equanimity, knowing that we will succeed in the end because we have God's promise to us individually, by name, and we know He cannot lie (see Enos 1:6; Ether 3:12). "It was [the knowledge that their course in life conformed to the will of God] that enabled the ancient saints to endure all their afflictions and persecutions, and to take . . . not only the spoiling of their goods, and the wasting of their substance, joyfully, but also to suffer death in its most horrid forms; knowing (not merely believing) that when this earthly house of their tabernacle was dissolved, they had a building of God, a house not made with hands, eternal in the heavens. (2 Cor. 5:1.)" (Lectures on Faith , 67). They further pointed out that in offering whatever sacrifice God may require of us, we obtain the witness of the Spirit that our course is right and pleasing to God (see Lectures on Faith, 69–71). With that knowledge, our faith becomes unbounded, having the assurance that God will in due time turn every affliction to our gain. Some of you have been sustained by that faith as you have endured those who point fingers of scorn from the "great and spacious building" and cry, "Shame!" (see 1 Nephi 8:26–27), and you have stood firm with Peter and the Apostles of old, "rejoicing that [you] were counted worthy to suffer shame for [Christ's] name" (Acts 5:41). "Verily I say unto you, all among them who . . . are willing to observe their covenants by sacrifice—yea, every sacrifice which I, the Lord, shall command—they are accepted of me. "For I, the Lord, will cause them to bring forth as a very fruitful tree which is planted in a goodly land, by a pure stream, that yieldeth much precious fruit" (D&C 97:8–9). "For this thing I besought the Lord thrice, that it might depart from me. A final aspect of strength through covenants is the gift of divine power -- our covenant commitment to Him permits our Heavenly Father to let His divine influence, "the power of godliness" (D&C 84:20), flow into our lives. He can do that because by our participation in priesthood ordinances we exercise our agency and elect to receive it. Our participation in those ordinances also demonstrates that we are prepared to accept the additional responsibility that comes with added light and spiritual power. In all the ordinances, especially those of the temple, we are endowed with power from on high. This "power of godliness" comes in the person and by the influence of the Holy Ghost. The gift of the Holy Ghost is part of the new and everlasting covenant. It is an essential part of our baptism, the baptism of the Spirit. It is the messenger of grace by which the blood of Christ is applied to take away our sins and sanctify us (see 2 Nephi 31:17). It is the gift by which Adam was "quickened in the inner man" (Moses 6:65). It was by the Holy Ghost that the ancient Apostles endured all that they endured and by their priesthood keys carried the gospel to the known world of their day. When we have entered into divine covenants, the Holy Ghost is our comforter, our guide, and our companion. The fruits of the Holy Spirit are "the peaceable things of immortal glory; the truth of all things; that which quickeneth all things, which maketh alive all things; that which knoweth all things, and hath all power according to wisdom, mercy, truth, justice, and judgment" (Moses 6:61). The gifts of the Holy Spirit are testimony, faith, knowledge, wisdom, revelations, miracles, healing, and charity, to name but a few (see D&C 46:13–26). Divine covenants make strong Christians. I urge each one to qualify for and receive all the priesthood ordinances you can and then faithfully keep the promises you have made by covenant. In times of distress, let your covenants be paramount and let your obedience be exact. Then you can ask in faith, nothing wavering, according to your need, and God will answer. He will sustain you as you work and watch. In His own time and way He will stretch forth his hand to you, saying, "Here am I."